The Baltimore Jewish Council continues to monitor the security concerns of our community’s synagogues, schools and other organizations. In order for these institutions to be properly prepared, the Council has worked with federal, state and local officials to bring in close to three and a half million dollars to our community for security improvements. In addition to the information on active shooters, area synagogues may want to boost their security measures around the high holidays. Our security staff have provided a high holiday security checklist to help you with this process. 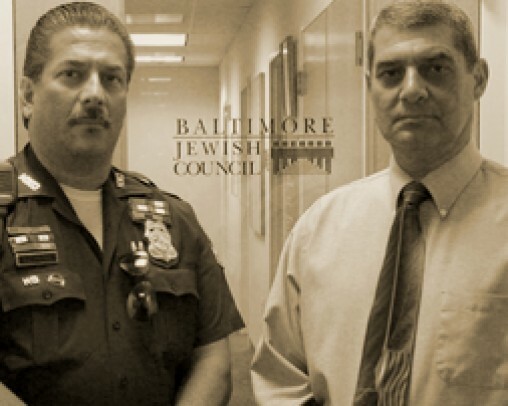 Secure Community Network (SCN) was established in response to a heightened security concern among national Jewish leadership as a central address to serve and advise the American Jewish community concerning matters of communal safety, security and preparedness. For security tips and more, click here. Call 911 in a real emergency. Call 311 for a non-emergency. Major Keith Tiedemann, Chief of Security, for THE ASSOCIATED System can be reached at (410) 542-4850. An organization dedicated to rapidly responding to any security-related problems within the Upper Park Heights, Greenspring and Pikesville areas of Northwest Baltimore. Shomrim works closely with Baltimore City and Baltimore County Police to keep our community safe. The Northwest Citizens Patrol (NWCP) is an organization of over 500 volunteers who patrol the neighborhoods of Northwest Baltimore. Our goal is to reduce crime, safeguard people and property and build a strong, secure environment in which citizens can live. We cover 4 square miles, within Baltimore City, bordered by Northern Parkway on the south, Slade Avenue on the north, Reisterstown Road on the West and Greenspring Avenue on the East. Hatzalah was started to take advantage of those few precious minutes during which immediate and proper care may mean the difference between a patient surviving or not surviving. Although Baltimore City Fire Department provides top-notch care, they may not be in a position to respond within those crucial first few minutes. If the local medic is currently out on a different call, a second unit from a further location will be dispatched. This means that those crucial first minutes are not being utilized to begin patient care. Since our volunteers are local, we can often be there within one minute of the call coming in to our dispatchers. Our goal is to have an average on-scene arrival of less than two minutes. Chaverim is a group of volunteers who help people in a variety of automobile problems, home troubles and more.